I missed a whole month of Gaia Portal message interpretations and may go back and catch up, because it will be helpful to us. I’m very excited at what the last few have said to me when I read them over quickly, so I’ll do them first. I don’t claim to get these right. I don’t even claim there is a right understanding of them. I just tune in and write the meanings that come, and hope that the posts are somehow beneficial to each of you. The title below links to the post on the Gaia Portal site. In this context, galactic alignments are harmonious vibrations among beings and experiences of focused Consciousness in this galaxy. The harmonic resonance of communications, interactions, and relationships may stretch between the “here and now” of Fifth Dimensional (5D) New Earth, to what to us would seem to be long, LONG, ago. In the quantum envelope, beings and events are not separated by Time and Space. Consider the possibility, for example, that Bashar, who is channeled by Darryl Anka, actually IS the same incarnated soul that Darryl is; Bashar is Darryl 300 years into the future (in the way we have been experiencing time). You must use intuitive discernment to decide whether you believe that. You can’t rationally prove it. Also, consider Dolores Cannon’s conversations with Nostradamus. He helped Dolores see that while she was speaking to him through a client (with permission of their Higher Self) in 20th century America, he was speaking with her in his everyday real-time 16th century lifetime in France. We had agreed to restrict ourselves in many ways, while experiencing our 3D incarnations. One way was to view things as happening, step by step—all on the one timeline. Outside that agreed myopic perspective, nothing happens, but is all simultaneously existing. In our Quantum Multiverse, we can communicate and experience without bounds, when we open to experiencing ourselves as immortal beings of infinite Consciousness. If you are like me, that won’t all sink in in a day. We have MANY understandings and beliefs to be rewritten in our minds. We can no longer live under the restrictions of our lock step timelines (calendars) and their past, present, and future perspectives. We can no longer each personally maintain that old interpretation of reality. We live in individual NOWs. I don’t watch TV. I don’t keep up with current events. I usually don’t know the time or what day it is. I go through my day doing what I want, when I want. I’m retired, but even you who are not, if you choose only what you desire, will experience life like this. Notice whether and how that is happening in your own experience. Quantum harmonics to which we are now attuning are quite different from our old 3D vibrations and those with which we harmonized. You can see this in the “All Skate” changes in jobs, goals, life partners, and towns we live in. 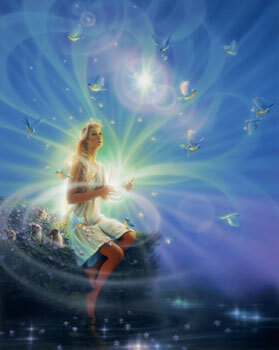 Our significant changes in vibratory rates (energetic frequencies) mean many changes in our multidimensional systems. (Body/mind/spirit, to overly simplify.) We are open to tsunamis of inner changes: understanding, beliefs, ideas, and interpretations. Our perspectives change on many things. Desires and manifested experiences are far beyond anything we could have imagined back in our 3D kindergarten days. Overnight, we’ve gone through junior high and high school, and are enrolled in Reality University! With their new University perspectives, people wake up to the brainwashing and lies that had them mesmerized. No longer unthinking robots, now using their rational AND intuitive minds, they can no longer be controlled. Think of the possibilities that brings. Our New Earth future is seemingly beyond bounds, unimaginable in every way, with tsunamis of abundance and Love, infinitely engaging and fulfilling. Do you feel it that way?